Most people associate the beautiful song Cavatina (written by Stanley Myers) for classical guitar with the 1978 movie The Deer Hunter. But Cavatina’s heartbreakingly beautiful melody originally appeared in a 1970 a movie called “The Walking Stick”. The Heroine of The Walking Stick was a 26 year old woman named Deborah Dainton who walked with a limp because of childhood polio. She used a cane (walking stick). The Walking Stick came out the same year my father died suddenly of a heart attack while he and I were downhill skiing. He was 52 years old and I was sixteen. Needless to say, 1970 was a fog of inexpressible grief for me, but somewhere out of that fog, and unbeknownst to me, Cavatina embedded itself into my little grey cells. Perhaps that was why I did not go to see The Deer Hunter. Somewhere deep inside, that melody spoke to me about things I could not bring myself to revisit. For years I could not quite identify what it was or why Cavatina caused me such heartache, only that a great sadness overcame me with the opening bars of that melody. I think I know now. 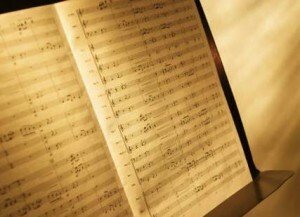 Music can express the human condition in ways words can not. That is why music has been so instrumental in my grief and disability journeys. Cavatina was written for the guitar. There was a time, many years ago, when I was a skilled guitarist — before multiple sclerosis stripped away my ability to play. At about the same time as I lost the ability to play my guitar, I started using a walking stick. One walking stick became two, then crutches, then a scooter and wheelchair. The MS was attacking many physical functions. God said those words to Israel because He was their only savior. God is that to you and me through faith in Jesus Christ. I happen to think that perhaps God might say those words to us too, His adopted children. Grief journeys are fluid like a river that can threaten to sweep over a griever and submerge him beneath the waves of his circumstances. Whether the griever knows it or not he needs both solitude and community. His “Whys?” are unanswerable. The only responses are tears and love. Solitude brings a needed release of tears and reflection on his new realities; community is needed to maintain human connection and give love — even if the griever does not want it and just wants to be left alone. I have learned from experience that although we may not be able detect God’s presence, He is still with us. Like an crying infant to hungry to accept the bottle at its lips, the activity of early intense grief drowns out Christ’s still small voice whispering to us. We may be too frantic for comfort to actually accept it. Those words of Christ meant so much to me at my darkest moments of loss and sickness. They told me that He knows. He knows my anguish even though I may not sense His presence, I had to simply believe God was with me because God said he would not leave me or forsake me . God cannot lie. It is in solitude that we begin to detect the first inklings of God’ presence; it comes with the re-awakening of the interior life after the shock of grief has subsided. It is at times of solitude that understanding will eventually come. It is within community that the griever has interconnectedness, and fellowship in his grief. It is in a Christian community of concern that the griever should be comforted with the tenderness of Christ-like love. Sometimes it is loved-ones in the grievers community of concern who can help the dark passage through grief and loss to eventually emerge with a renewed sense of self fostered by Christ. I have been the beneficiary of this balance. No longer does Cavatina trigger heartbreaking memories of loss. It is the sheer beauty of the melody, and nothing more, that can move me to tears, even as an old man. Thomas a Kempis, The Imitation of Christ: In Four Books (New York: Random House, 1998), Book Three, Chapter 1, p. 73.